This is a great side dish that can be served hot or cold. I usually serve it for dinner and then eat the leftovers cold for lunch the next day. To speed up the process I like to sauté the mushrooms ahead of time. I usually make a big batch of mushrooms to that I can add them to meals throughout the week. I do truly love to cook, but don’t want to be stuck in the kitchen everyday. This little tricks let me enjoy cooking, eating well, and not being stuck in the kitchen night after night. Bring the chicken stock to a boil and add the orzo. Simmer until the liquid is absorbed, adding more if the pasta has not cooked through. In a separate pan, melt the butter and add the chopped mushrooms. Sprinkle with salt and cook until the mushrooms release most of their water. 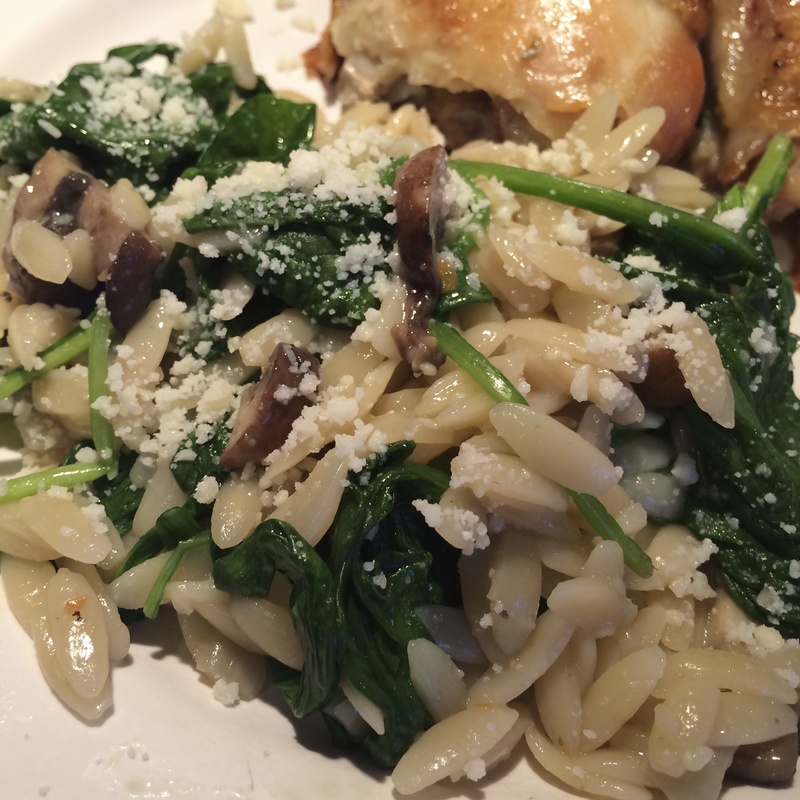 Add the mushrooms, fresh spinach, and Parmesan cheese to the orzo and stir until mixed. Serve.